Panther’s Run Golf Links was born to be a different kind of challenge. Masterfully designed by Tim Cate, this great golf course meanders through nature preserves and tests your abilities to blend precision with distance. Panther’s Run features large, multiple tee areas giving golfers of all skill levels a fair shot at making par. For the ladies, the course offers two sets of tees, a rare option at other courses. From the back tees, Panther’s Run measures 7,089 yards with a slope of 141 and a 73.5 rating. Bring your best game for the especially challenging #4 and be pleased with a score of par! 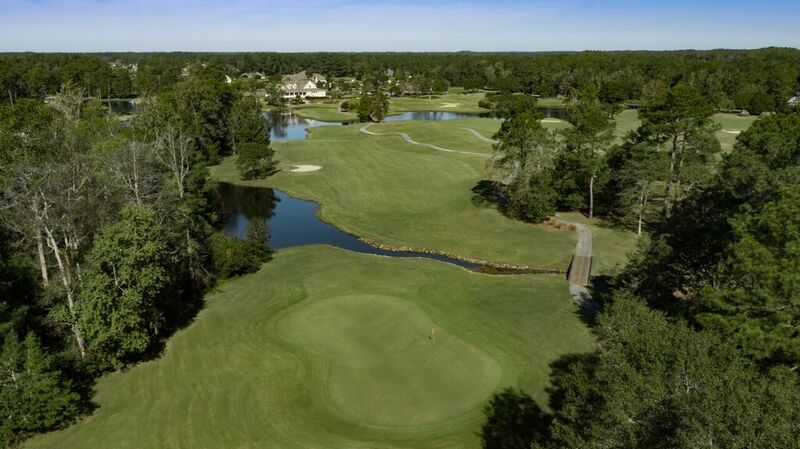 Golf Digest agrees and placed Panther’s Run on their prestigious “Places To Play” list, as well as a “Top 30 in Myrtle Beach” rating from Links Magazine. Panther’s Run has earned 3 1/2 stars from Golf Digest’s prestigious “Places to Play” rankings.